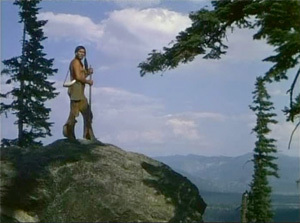 A few years ago I showed John Ford’s The Searchers (1956) for a nice lady who sighed, “The pictures look like paintings.” Why was this a complaint and not a compliment? Because most people want movies to be “realistic” and thus prefer new movies whose style seems transparent. They want to be entertained passively. 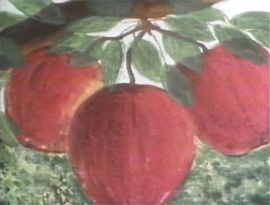 A painting, in contrast, is expected to be a contemplation. Its style, instead of being transparent, is the gateway into the artist’s world. These opposing attitudes toward movies and paintings have impeded critics of the arts. Fortunately, they have not hindered the artists themselves. “Filming is nothing but seeing”, said one artist. Not what you see, but how you see it. Anyone can learn to film the things that are there. But to film the things that one merely suspects to be there, that is the sort of task that makes life interesting. The artist was Rembrandt van Rijn, supposedly, and he said “painting”, not “filming”. (1) But Rembrandt’s paradoxical attitude toward “realism” was shared by both filmmakers and painters in the 20th century. And what some of the Americans among them, notably King Vidor and Andrew Wyeth, “suspected to be there” was what Wyeth called “an American quality”. Though Wyeth was schooled on Albrecht Dürer and detailed each blade of grass, he made sure it was American grass, for what Wyeth sought was an American consciousness independent of Europe. “Know it spiritually”, Wyeth’s father, also a painter, had taught him. “Be a part of it.” (4) And such had been the counsel of America’s revered sages – Ralph Waldo Emerson, Henry David Thoreau, Walt Whitman – and of Mary Baker Eddy, founder of the Christian Science to which King Vidor dedicated his life’s work. 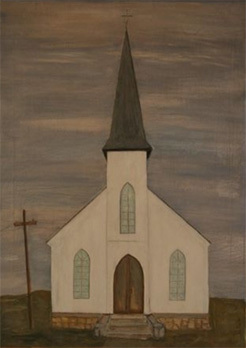 Both artists sought to express an American consciousness of American people, places and things. And thus in 1975, late in life, age 81, Vidor was “excited” to receive a letter from Wyeth. Vidor had never met Wyeth but, he said, “I knew he felt about America the way I did.” (5) Indeed, Wyeth told Vidor he had seen Vidor’s The Big Parade (1925) “a hundred-and-eighty-times, literally” and that, in all sorts of abstract ways, it had been the strongest single influence on his painting. 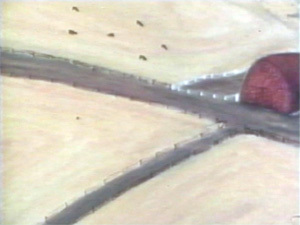 Now Wyeth asked permission to use clips from The Big Parade in a documentary film which the New York Metropolitan Museum of Art was proposing to accompany an exhibition of Wyeth’s many paintings of World War I veteran Karl Kuerner and his farm – including preliminary studies: thus The Big Parade. The exhibition took place a year later (Two Worlds of Andrew Wyeth: Kuerners and Olsons) but not the film. Meanwhile, however, Vidor went himself to Chadds Ford, Pennsylvania, to make his own movie with Wyeth. Here in 1777, between Philadelphia and Wilmington, George Washington had lost the Battle of the Brandywine. Today people call it “Wyeth country”. Often I had heard filmmakers talk of the influence that famous artists have had on their films. To my knowledge, this was the first time that a great artist had agreed to talk of the influence that a movie had had upon his work. Andrew Wyeth (1917-) at the time was one America’s best-known painters. As for King Vidor (1894-1982), had a poll been taken in 1929 to say who best represented cinema as art, Vidor would probably have won for Hallelujah (1929) and The Crowd (1928) following The Big Parade, the biggest grosser of the decade. To welcome Hallelujah to Paris, La Revue du Cinéma had mobilized dozens of intellectuals for a pre-release screening and published 42 pages of their awe-struck reactions. Vidor is neglected today. 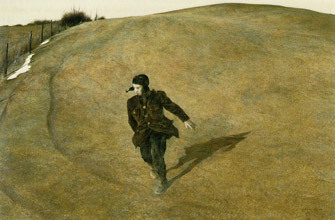 Yet it is not for this reason that his influence on Wyeth was virtually unknown among Wyeth scholars in 2006, as was their film together, Metaphor (1980). (8) Although “film” is getting increased attention in art history, it is as media within the broad gamut of popular culture. Old auteur movies are discounted. Yet there is an interesting relationship between Vidor and 20th century American painters, a bit like that between Jean Renoir and French impressionists – and not a relationship that is just a one-way. 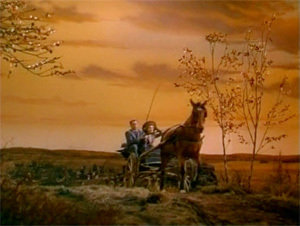 In Metaphor, Vidor and Wyeth and Wyeth’s wife Betsy discuss specific affinities linking The Big Parade to famous Wyeth depictions of a hill (e.g., “Winter 1946”; “Snow Flurries”); a sharpshooter medal (“Portrait of Ralph Kline”); a tree branch (“Afternoon Flight of a Boy up a Tree”). 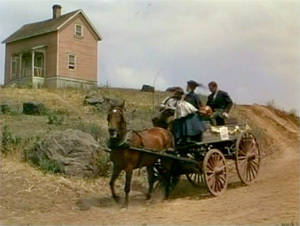 From another Vidor movie, Wild Oranges (1924), a vacant rocking chair swaying in the wind made its way into Wyeth’s “Due Back” (1963). 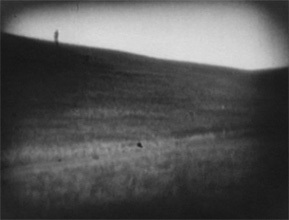 Vidor shot his first movies in 1909 and acquired an interest in composition along with an interest in art. 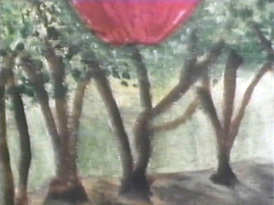 In 1939, his involvement with painting intensified. 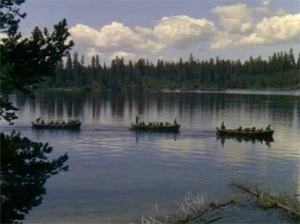 In Northwest Passage, Vidor dressed the Rangers in a vague green, so they could conceal themselves in the forest. But when we made tests they were so blatantly green – Killarney green – that they stood out; you could see them miles away. I tried to investigate this and finally we found out [from Technicolor that] this was the green Darryl Zanuck liked. So we had to get busy and get our own green back. To make these costumes blend, we sprayed them down to change the color. (11) [And] with some argument and persuasion we succeeded in getting the Technicolor company to mix up a new batch of green dye. Evident in the frames below, from Northwest Passage, is the influence of N. C. Wyeth, an immensely popular book illustrator and Andrew Wyeth’s father. 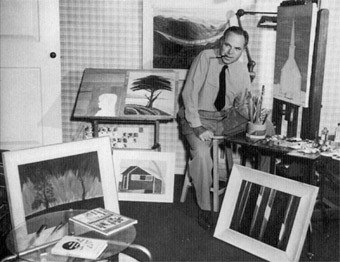 Vidor spent three years on his next Technicolor movie, An American Romance (1944). So cool are the colours that most of the movie is fairly desaturated, first toward earth colours, then toward steel greys. There are almost no bright primaries or secondaries – except the red lips and yellow hair of the immigrant’s wife; a golden arrival; and the strange apparition of the red schoolhouse. 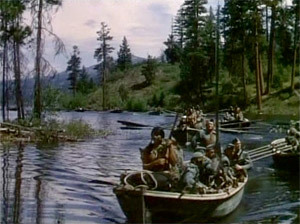 Vidor remembered Wyeth’s muddy ruts while filming War and Peace (1956). Like Vidor, these American painters “filmed” the familiar things of everyday, our room, our window, out the window, and, in Wyeth’s tempuras, so “realistically” detailed (like Dürer) that everything is abstract, figurative, still life – and yet alive with pent-up energy almost bursting. Or is it we who feel about to burst? For Emerson, Wyeth, Christian Science and Vidor, the transcendent is in us. 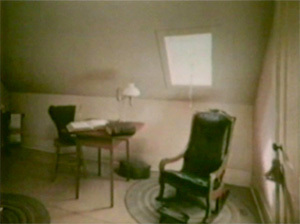 In Truth and Illusion (1964), Vidor stares at an empty room and chair, a bit the way Wyeth does. 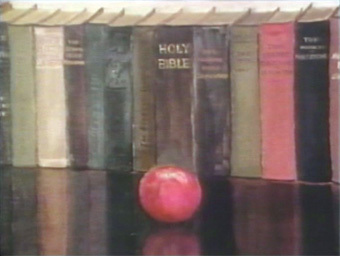 Vidor too was a documentarist. And yet Vidor insists that physical reality does not exist. “Reality is right here in our consciousness. There simply is no ‘out there’!” Everything that is is mind, and thus God. As everyone learns in Hallelujah. means that you use one image to express some other idea. If you took the ideas and expressed them right on the nose, people might react them right away. If you take one image that is pleasing to them, that they accept, but you’re saying something else with it – I know that’s what goes on in all of your painting. Andrew and Betsy Wyeth agree. 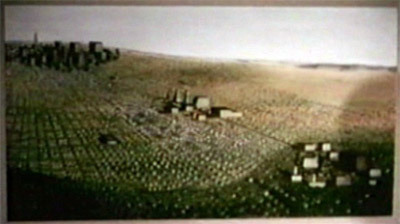 And they all agree that the hill in Wyeth’s “Winter 1946” is both the actual hill on Karl Kuerner’s nearby farm and also the filmed hill in The Big Parade. Wyeth grew up with both hills and fused them together. The metaphors could not differ more. Yet it doesn’t matter. 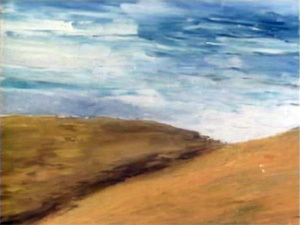 One has only to watch a few seconds of Wyeth and Vidor together in Metaphor, looking at Kuerner’s hill, to sense a shared empathy in this hill that goes deeper than metaphor. Yet Wyeth, more forcibly than Vidor, argues for the irrelevance of the story climaxing in The Big Parade, when the soldier comes down the hill. Still the question gnawed at Vidor: “Must we continue to live under the old restraint that ideas cannot be photographed, only action?” (31) And after making more than a hundred films for others, Vidor bought himself a 16mm camera to make a film just for himself – a philosophy film. 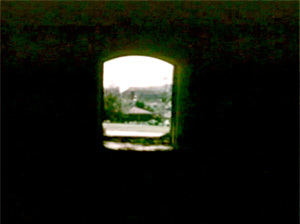 Thus, over the empty room and chair (above), Vidor quotes Mary Baker Eddy: “Metaphysics resolves things into thoughts and exchanges the objects of sense for the ideas of soul.” And over her last words, Vidor tracks out of a black tunnel into the light. Yet to the extent that Vidor is successful – in producing images that translate philosophic ideas – his narration seems redundant, like his friend Josef von Sternberg’s benchi-like voice-over in The Saga of Anatahan (1953). God is being born, and living, and kindness, and being happy, and helping others. […] He makes our tree blossom every spring – fruit and flowers and fields of wheat, everything that lives and grows. 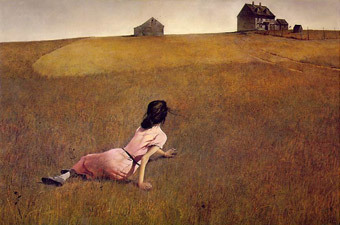 Wyeth, and Vidor himself usually, start with objects that degrade into metaphors only when analysed. (35) Vidor in Truth and Illusion starts from the other direction, with the metaphorical content, and then works backward to the object. Is there not something wonderfully paradoxical about taking an idea like “Mind is substance; matter is illusion” and turning it into matter? Did it occur to Vidor that his movies turn “truth” into “illusion”? 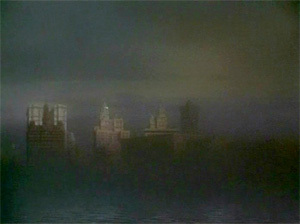 In An American Romance, to the contrary, Vidor begins with a ship magically emerging from a fog bank, then cuts to the Manhattan skyline, one of the most sensuous passages in cinema, and if, thereafter, there is a “metaphor”, it is illusion unfolding sensually, building a brave new world materially, and earth itself flies into the sky. One may wonder, looking at a Wyeth painting, if the artist is seeking God or death, or if he is simply being resolutely in this world. Art is in this world. Only from here can it point beyond. Hendrick Willem Van Loon, R.v.R. : The Life and Times of Rembrandt van Rijn (New York: Horace Liveright, 1930), cited in Rouger Housden, How Rembrandt Reveals Your Beautiful, Imperfect Self (New York: Harmony Books, 2005), p. 33, who adds: “Van Loon claimed that this book was material from the diary of his ancestor, Joannis Van Loon, who he says was Rembrandt’s doctor,” p. 231. Richard Meryman, “Andrew Wyeth: An Interview”, Life, 14 May 1965, reprinted in Wanda M. Corn, ed., Art of Andrew Wyeth (Greenwich, CT: New York Graphic Society, 1973), p. 77. In “Two Realists”, Newsweek, 16 June 1952, p. 95; cited in Corn, p. 102. Betsy James Wyeth, ed., The Wyeths: The Letters of N. C. Wyeth, 1901-1945 (Boston, Gambit, 1971), p. 205; cited in Corn, p. 126. Carol A. Crotta, “Masters of Metaphor,” part one, Los Angeles Herald Examiner, Mar. 30, 1980. King Vidor, A Directors Guild of America Oral History, interview by Nancy Dowd & David Shepard (Metuchen: Scarecrow, 1988), p. 283. 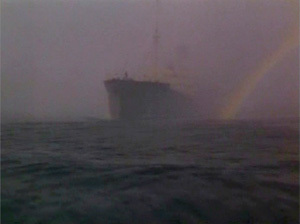 Vidor was unsatisfied with the film as we now have it and continued working on it up until his death. Vidor, Directors Guild, p. 181. Zanuck ran 20th Century-Fox. Technicolor was an imbibition process, like lithography; the colours could be customized. 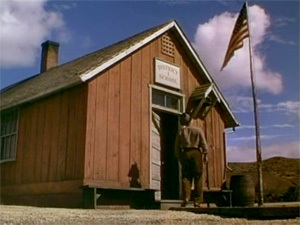 Northwest Passage was Vidor’s first colour feature, but not his first experience with colour film. 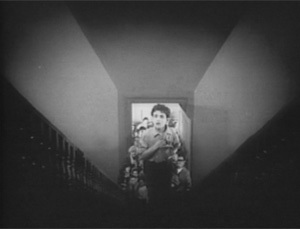 The Big Parade had brief scenes in two-strip Technicolor. 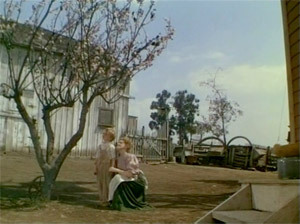 For The Wizard of Oz (1939) Vidor shot (uncredited) the “We’re Off to See the Wizard.” number in Technicolor, as well as the movie’s black-and-white sequences. In Catherine Berge’s wonderful filmed portrait of Vidor, Journey to Galveston (1980). Richard Schickel, The Men Who Made the Movies (New York: Athenaeum, 1975), pp. 131-60. King Vidor, King Vidor on Film Making (New York: David McKay, 1972), p. 171. Vidor, Directors Guild, p. 195. Vidor on Film, pp. 171-72. Charles Higham and Joel Greenberg, The Celluloid Muse (New York: Signet, 1969), pp. 253-78. Vidor on Film, p. 172. Vidor, Directors Guild, p. 197. Higham and Greenberg, pp. 253-78. Vidor, Directors Guild, p. 202. Vidor, Directors Guild, p. 201. Crotta, “Masters of Metaphor,” part one. Corn, “The Art of Andrew Wyeth,” in Corn, ed., The Art of Andrew Wyeth, p. 100. King Vidor, “Art vs. Stocks and Bonds”, House Beautiful, December 1945, p. 102 & 143. In Metaphor, Betsy James Wyeth cites Corn’s “Andrew Wyeth: The Man, His Art, and His Audience” (Ph.D. diss., New York University, 1974), an expansion of her “Art of Andrew Wyeth” essay. Meryman, op. cit., in Corn, p. 58. “American Realist”, Time, 16 July 1951, p. 72; cited in Corn, p. 143. Vidor on Film, p. 201. Carol A. Crotta, “Masters of Metaphor”, part two, Los Angeles Herald Examiner, 31 March 1980. Vidor on Film, p. 200. Vidor on Film, p. 199. Cf. Benedetto Croce’s insistence that true art is not symbolic, that a symbol or sign stands for something else, whereas in poetry stands for itself.